The college offers a range of courses, apprenticeships and professionally accredited programmes, all developed with industry employers and specialists, and taught by the best in the business. Whatever your interest, your curriculum has been designed to set new standards in technical training. It will also give you the exact skills and real-world project experience you need to be in a prime position to start work when you finish your course. You’ll build your core skills with introductory units on rail, engineering and management. Then you pick your specialist subject, like digital railway systems, or track engineering, and train in the technologies of the future. You can find out all about each course we offer here and on the specific pages below. Becoming an apprentice means you can get paid while you train, build your skills on real projects, and study for the equivalent of a foundation degree at the same time. You’ll also have the advantage of spending lots of time with employers working at your job. The college offers a Level 4 Higher Apprenticeship (High Speed Rail and Infrastructure Higher Technician), with seven specialist options, and a Level 5 Higher Apprenticeship in Operations and Departmental Management. If you are looking for a non-apprenticeship route into rail, our Certificate of Higher Education or Access to Higher Education Diploma might be the answer. It still enables you to focus on learning by doing – you’ll spend a third of your time on a work placement and will be mentored by someone from the industry. The college’s Cert HE is a Level 4 qualification similar to completing a first year of study at university. 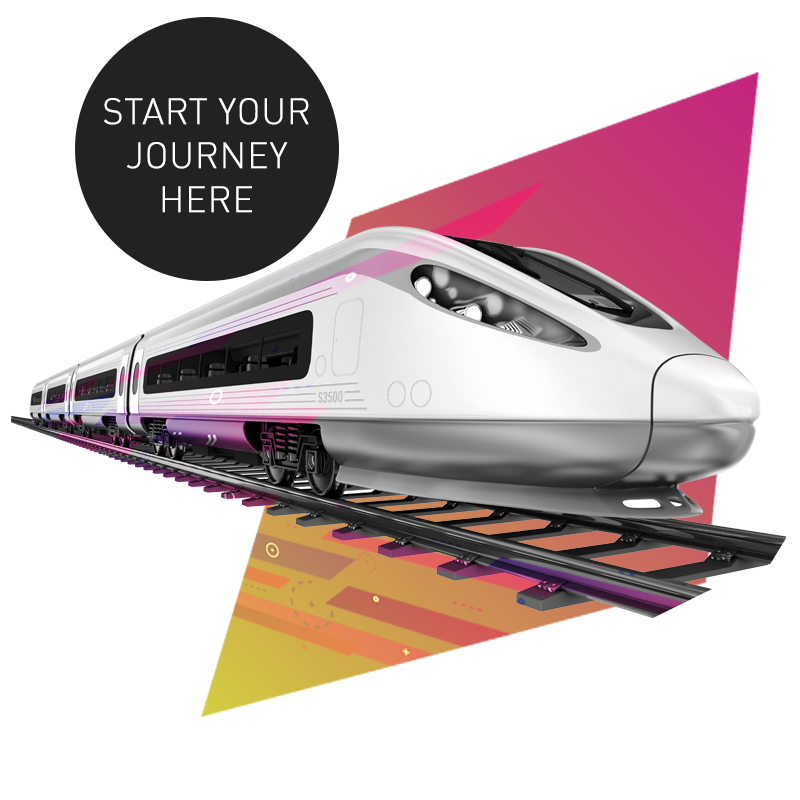 It’s a course that gives you an introduction to the high speed rail sector and a great foundation on which to choose a specialism. The Access to HE Diploma in Engineering is a Level 3 qualification which will provide you with the pre-requisites needed for our higher level courses in High Speed Rail and Infrastructure. The college will offer professional development modules to current industry employees, which may comprise either core or specialist units from our apprenticeships and Cert HE courses. We are currently working with employers to identify the exact CPD training that would best benefit their employees and will advertise those online when they become available.